Nathaniel Bassey needs no further introduction, as he has become the toast of many through his special online worship, tagged Olowogbogboro. 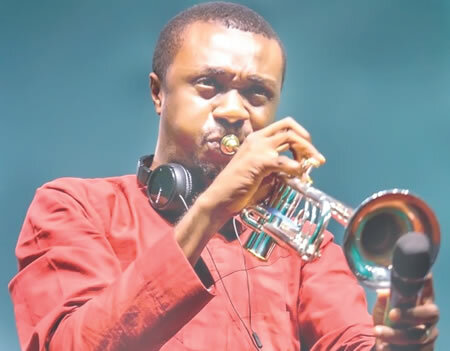 The graduate of Politics and International Relations from the University of London, in this interview with SEYI SOKOYA, speaks about life and his music. The outgoing year is a busy one for you and a boost to your music career. How do you feel about this? I want to thank God for everything that has been happening to me as a person and a vessel. All that has happened to me this year is to the glory of God and will always thank Him for pushing me through. On whether it is a boost for my career, I believe that there is time for everything. I will only say God is the reason behind what He did through my career this year. I see myself as an instrument in God’s hand and my greatest joy is that I have been able to take to His order, which has brought great testimonies. As the year winds down, what is your message for your fans and Nigerians at large? The year has been a wonderful one. God has really manifested Himself in the lives of people in various ways. This is one of the reasons I always urge people to return all praises to Him with a genuine heart. My message for them to praise Him for what He has done and what he will do for the remaining days that will usher us into the New Year. Personally, I won’t be praying through to 2018. I have got this strong witness within to sing into it. Songs of Victory! I believe that as we sing into 2018, the year will respond. It shall resound with victory and all of God’s great blessings in Jesus’ name. Your music career received a boost through your Halelluyah challenge. How did you receive this inspiration? It was a revelation from God to bring all and sundry together and to also lift their souls to Christ. It is a platform that has brought people from different classes, tribes and denominations. I feel this is what Jesus preached that we may be one. For me, that is joy and big Holy Ghost party for every believer, because we are one big family. Your online crusade, which went viral in Nigeria and beyond, gave gospel music a new phase, as it connected all the people together. How did you feel about the eventual outcome? Whenever God inspires something and breathes on it, one needs to connect with it instantly, because He has a purpose for it and He can send anybody. This was why I instantly connected to the message and He does the work. I don’t even know how He is doing the work. I remember I was on singlet and trousers in my room praising God. At a point, I called on those around me to join in the praises and as God would have His way; He breathed on it and it went worldwide. Before I knew what was happening, it had gone viral and I give God all the glory. You are an Akwa-Ibom- State-born musician, how did you come up with the concept Olowogbogboro, which is Yoruba? I was born in Lagos. I was born into the family of Mr and Mrs Joshua Bassey, who hailed from Ikot Ofon Ikono, Uyo Local Government area of Akwa-Ibom State, South-South Nigeria. I think I have a little understanding of the Yoruba language. As I said earlier, we were worshiping in a room on a day and I just heard a sound in my spirit, I couldn’t pronounce it well I started asking people to help me so that I can get the clear message. I could hear the sound, but couldn’t pronounce it, and they said it is Olowogbogboro. This was how the message came into a reality and God manifested Himself through it beyond my imagination. It is obvious that God manifested Himself through it and one of those that connected with it is popular actress, Funke Akindele-Bello. Is it true you prophesied she was going to give birth to twins? I wouldn’t say it was a prophecy. It was actually a prayer. The reason we keep the comments is not because we want the comment. We just want to monitor if people can hear what I was saying. Sometimes when you are speaking, especially on social media, you are not sure if the audio is coming out clearly and there were various prayer requests on the comments alongside the huge connection to the online praise crusade. I realised she was praying about babies and I responded by saying ‘God grant you your request in Jesus name’ and that was all. It was a prayer and if God has done it. All the glory to Him. You are under the RCCG’s One Halelluyah Records and and at thesame time running a label. How have you been able to combine the two? It is a way to contribute to driving the record label to the next level. The record label is essentially to find new talents. So we are there to just give it some push and support. Aside this, I am on my own label and the experience has been awesome. Are you trying to set a new standard with your music brand? My greatest goal is to deliver God’s message to humans. I feel music is more than an item to fill a space in time, but a fundamental tool in the praise and worship of God. This is all I love to do all my life. I am simple and accessible, as well as always love to make people around me happy. This is why I am also a comedian and compere. Though I am not perfect, I have been able to enjoy the grace and anointing of God. How did you discover your passion for music? I have always desired to do music right from a tender age. I tried to nurture the dream and later developed interest in Jazz music. Then, I used to listen to the like of Stan Getz and Kirk Whalum, Phil Driscoll, Hugh Masekela. I later joined a top Jazz quartet in Lagos, Spectrum 4, where I played alongside with my childhood friends and the dream gradually became a reality. Aside music instrumental training institution, Trumpet and Ministerial Academy. I believe in complete human being and I believe God did not make mistakes by giving us the human mind, which is like am elastic that stretches as you study and learn new things.